The Kombi Storm Cuff III Mitten offers the warmth of a mitt with some of the dexterity of a glove. Its thumb is enhanced with Touch-sensitive PU construction to aid in texting and smartphone use. 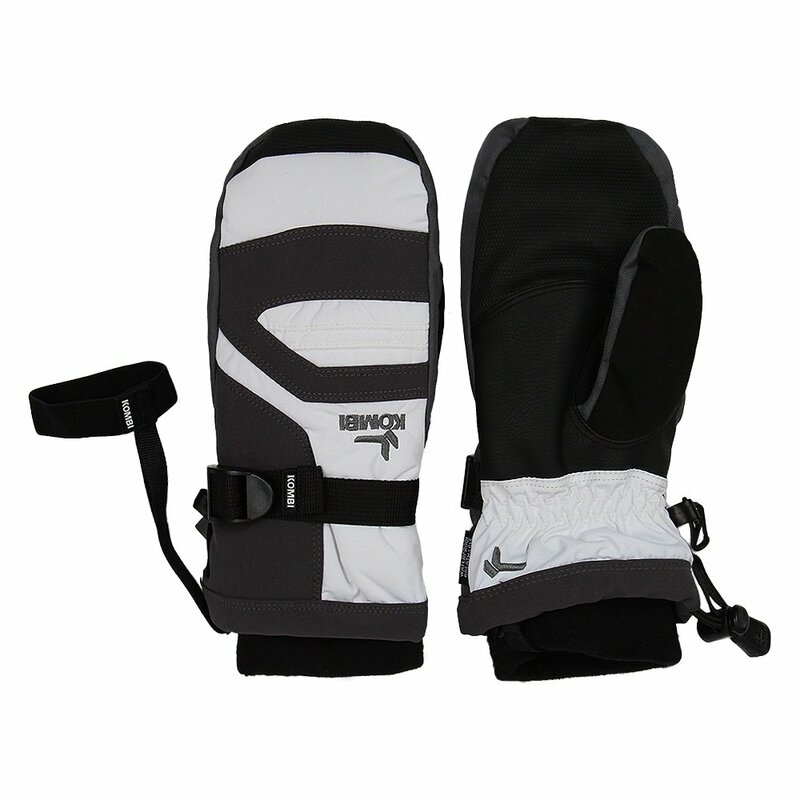 The PU leather palm and Traction PU finger area add grip, dexterity and durability. The glove offers warm, dry protection thanks to its waterproof-breathable insert and X-Loft® insulation. Kombi's Keeper leash ensures that the glove is never staring up at the lift from the snow below. "What size would you order for an almost 9 year old boy?" "Based only on the child's age we would recommend a size Small. For a more accurate fit we would use the measurement of the circumference of the hand." I would buy from this company! I bought ski gloves for my grandchildren for Christmas. This company was great to work with, they have youth gloves. The quality of these gloves are great!